When your old overhead doors create a poor impression on your home—call on us. Don't let a dingy door drag down the appearance and value of your property. Allow our overhead garage door company to provide an appealing and affordable solution. Our experienced team proudly installs and replaces a wide variety overhead garage doors in Katy, TX. Nobody wants a squeaky, broken, or unsightly garage door. The problem is you may think that is too much trouble or costs too much money to replace it. We address both issues by performing fast and affordable overhead garage door replacement. As garage door technicians with more than 10 years of experience under our belt, we install a new door for you quickly and without going over budget. Contact us today for a consultation. We'll determine your needs and then help you choose from a variety of garage doors based on your preferences. Why not consider upgrading to an energy-efficient garage door? Doing so can save you money on your utility bill. Ask us for more information about our newest overhead doors. Install your garage door correctly by relying on our team. Perhaps you are building a new home. If so, you want everything to go smoothly so you can move in as soon as possible. 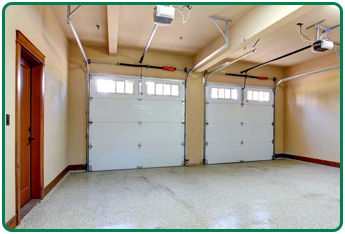 By providing efficient and prompt overhead garage door installation, we ensure you that your deadlines are met. We are skilled and dependable professionals that are extremely thorough with our work yet able to complete every project promptly. When you want a new garage door, you need a name you can trust to provide installation services. Our overhead garage door company has served the surrounding area for more than five years, and our owners have more than 10 years of experience in the trade. We are truly experts in the field. Whether you are a residential or commercial customer, you can depend on us for the perfect door—installed correctly. We also perform garage door repairs. Contact us to schedule a consultation when you need a new overhead door for your home or business. We proudly serve residential and commercial customers in Katy, The Woodlands, Sugar Land, and Columbus, Texas, as well as in and around the surrounding areas.